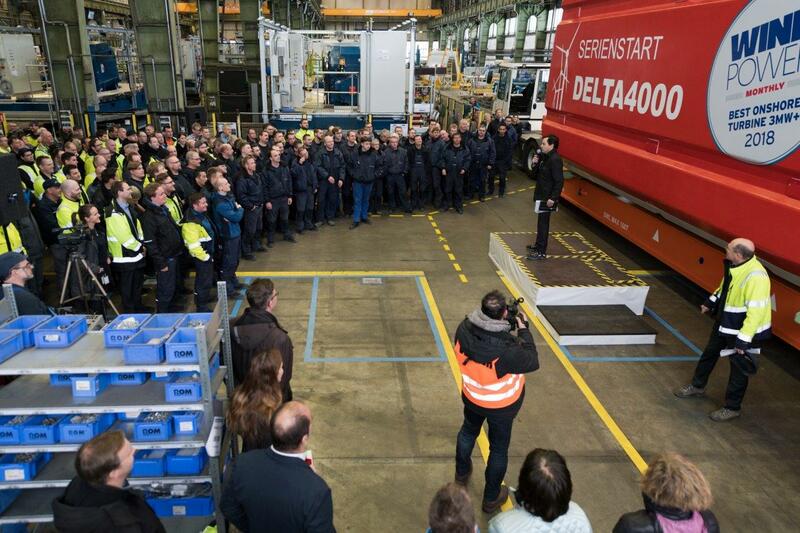 Nordex has started series production of its Delta4000 range at its production facility in Rostock, Germany. The first nacelles, hubs and drivetrains for its N149/4.0-4.5 turbines have passed through the "continuous flow production" process used at the plant. Since it launched the 4MW platform in September 2017, Nordex has received orders for more than 700MW from its Delta4000 series, it added. A prototype was installed in August 2018. The Delta4000 platform also includes the N133/4.8 model, designed for strong-wind sites. 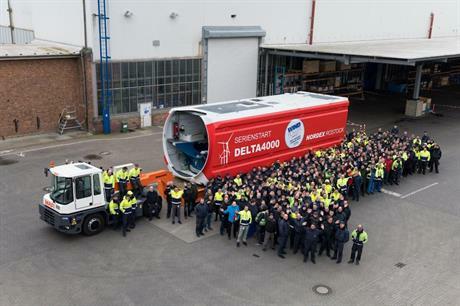 Assembly of turbines from Delta4000 series will be handled in fully flexible sequence together with other turbine models at Nordex’s Rostock facility, the manufacturer stated. Nordex employs more than 400 people at the site in northern Germany. The N149 turbine, designed for moderate and low-wind sites, was named Windpower Monthly’s turbine of the year in 2018 for the 3MW-plus onshore category.